Originating from Solingen, Germany since 1731, ZWILLING J.A. Henckels is one of the largest and oldest manufacturers of kitchen knives, scissors, cookware and flatware. ZWILLING has built a reputation of quality, tradition and innovation resulting in knives that are exceptionally sharp, strong and durable – giving them the gold standard for premium knives around the world. Manufactured in ZWILLING’s factory in Germany, Zwilling knives are made using the latest technology. ZWILLING knives undergo FRIODUR Ice Hardening and SIGMA Forge processes to ensure they stay sharp, feel comfortable and last a lifetime. 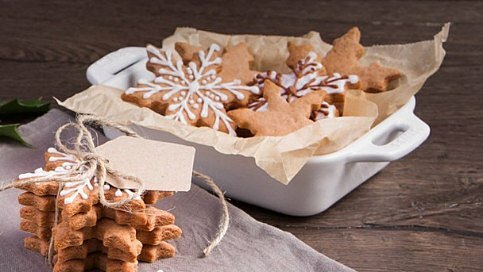 The origins of the Gingerbread cookie reach far back into history and its roots are spread all across Germany, France, the Netherlands and the British Isles. Nowadays, it’s a timeless classic around the world. The popularity of eating Gingerbread during the cold season can be attributed to the belief that spice warms you in the winter months.